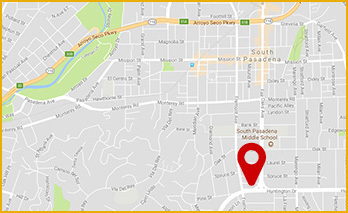 Our world class facility in South Pasadena serves the greater Los Angeles with high quality medical certification classes to providers, workplaces, and the public. Our instructors create a stress-free environment, guiding students through the curriculum to maximize learning. Get certified in a comfortable, world-class facility, where there is plenty of state-of-the-art equipment for each student, from the best-reviewed instructors in the region. BLS, ACLS, PALS, NRP, EKG and other classes for staff in hospitals, emergency medical services, and other healthcare related areas. CPR and First Aid classes for those working in many businesses, teachers, fitness professionals, childcare workers, and babysitters. Corporations, hospitals, businesses, and smaller groups looking for contracts or group rates on any classes. "Love it here. Very much worth the commute. Very organized, low stress, and very professional staff."